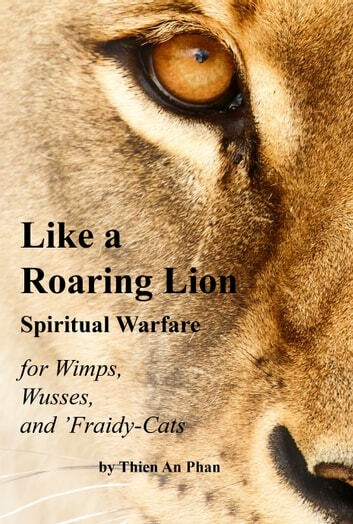 Do the words "spiritual warfare" make you want to hide under the bed? Do you know that the devil is real, but prefer to think about something else in the hopes that he will leave you alone? If so, this book is for you! Written in clear and simple language with a touch of humor, this book is the result of 25 years of experience in mission service, dealing with spiritual attacks of all kinds. The author is most definitely NOT a super-Christian, and you don't have to be, either. She explains many practical, simple ways to depend on God's strength to get you through the tough times, and even occasionally to prevent them. Like a Roaring Lion is based firmly in the Bible and contains discussion questions if you wish to use it with a group. It is particularly useful to new pastors and other Christian leaders who may find themselves "over their heads" as they come under spiritual attack of a level they have not experienced before.